A taste of warm weather and talk of spring break might have you itching to get away this month. If you don't already have plans, there are some great last-minute flights out there. Of course, they'll vary based on where you depart from, but below are three hot tickets I've noticed leaving from the Chicago area. Houston always seems to be a pretty reasonable flight. The 10-day forecast ranges from the low-seventies to eighties, so it's a safe bet you'll get to break out your shorts or light sweater here. 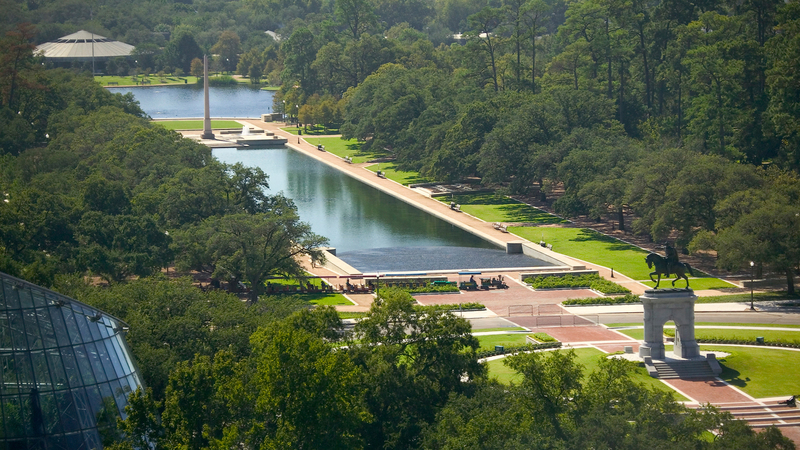 While everyone else is over at SXSW, take advantage of Houston's spicy restaurant scene, along with tons of parks and outdoor spaces, the museum district and even channel your inner Sandra Bullock over lunch with an astronaut at the Houston Space Center. Puerto Rico is really high up on my travel bucket list. There are so many hot restaurants and upscale resorts popping up, set in a sleepily stylish tropical backdrop. I think this locale has that perfect balance of an amenity-laden escape colored with an element of adventure. Just to the east is Vieques, an island I've heard raving reviews about for its natural, untouched beauty. Overall, it sounds like a grown-up spring break getaway that will jump-start your rest and rejuvenation. Vegas for an entire week doesn't really sound like my cup of tea. But with last-minute flights available for a steal, it's a great home base as you check out the rest of the region. Rent a car and explore nearby Hoover Dam, or drive just four hours to the Grand Canyon. For five-star relaxation set in the middle of the Vegas Strip, stay at the smoke-free Aria or its luxury Vdara Hotel & Spa. And of course, top off the trip with tickets to Britney: Piece of Me at Planet Hollywood. This stunning view show the Mike O'Callaghan–Pat Tillman Memorial Bridge, which spans the Colorado River to connect Arizona and Nevada. Source: HDR Inc.